Darren Campbell has stated he wants Justin Gatlin to beat Usain Bolt at the World Championships later this month. 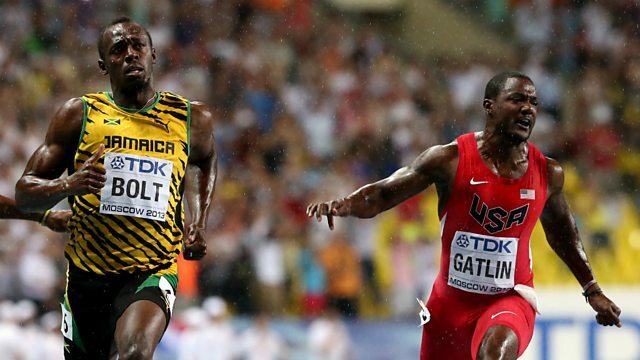 Gatlin has served two doping bans in his career and is a hugely controversial figure within athletics. But Olympic gold medallist Campbell argues it would be best for the sport if Gatlin were to win gold in Beijing. "In a crazy kind of way, I want to see Justin Gatlin beat Usain Bolt because the sport will have to deal with it," he said. "They will have to deal with the fallout of that because the spotlight will be truly on the sport." This clip was first broadcast on 5 live Sport on Wednesday 05 August 2015.